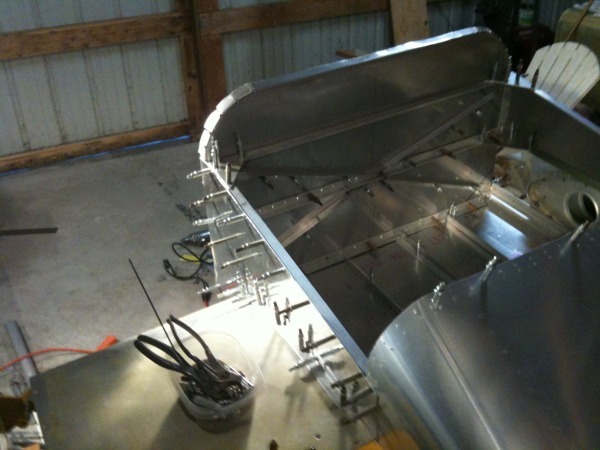 JAG-2, Corvair Powered Twin, Jim Tomaszewski, N.Y. Note: If any of the pictures are distorted, try hitting F5 at the top of your keyboard. 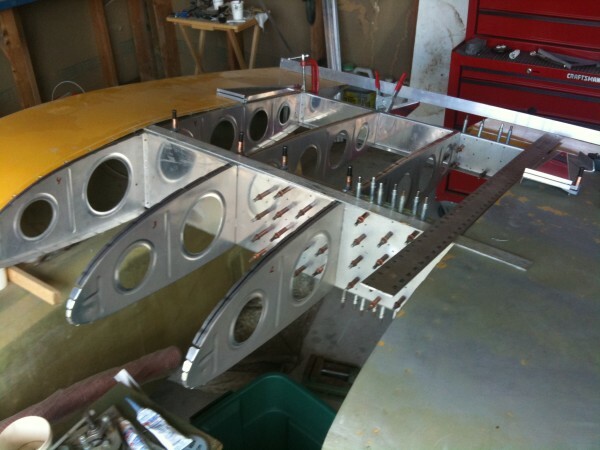 TWIN JAG… a twin-engine Corvair powered aircraft project. My name is Jim Tomaszewski and I am a 46-year-old professional pilot. I live on the east end of Long Island, N.Y., with my lovely and VERY understanding wife Ginger. Although we have no children, we do have 2 Yorkies that are treated like our children. I rent a T-hangar at Mattituck Airport & own a hangar and property at Heaven’s Landing Airpark in Clayton, GA. We plan on moving full time to Heaven’s Landing (www.heavenslanding.com) and building our dream home in the near future. I live & breath aviation. If you MUST look up every time an aircraft flies over, aviation is in your blood! I feed my aviation addiction as a professional pilot and currently fly as a Captain on a Challenger 605 corporate jet. I am an ATP with type ratings in the Lear Jet, Falcon 50/900, Embraer Legacy, Gulfstream IV, Challenger 604/605 & Douglas DC-8. I have roughly 15,000 flight hours with over 14,000 of them in multi-engine aircraft. I have been interested in aviation since I was 4 years old after my first flight on a TWA 747. My dad is retired from TWA after working 37 years as a Sheet Metal Mechanic & Maintenance Inspector. I used to feed my budding aviation addiction by flying around the country using passes from my Dad! I was also an avid model aircraft builder. When I was 16 years old, I rode my bicycle to my local airport and took a $20 Discovery Flight in a C-152…I was HOOKED!!! I came home with a smile so big I needed plastic surgery to remove it from my face! I told my parents that I was going to be a pilot. Although they were not pleased, they did help me get all my ratings and supported me along the way. I soloed at age 16, got my Private License at age 17 and Commercial/Multi/Instrument at age 18. While getting my ratings, I worked as a Line Service person at the FBO I was flying at. 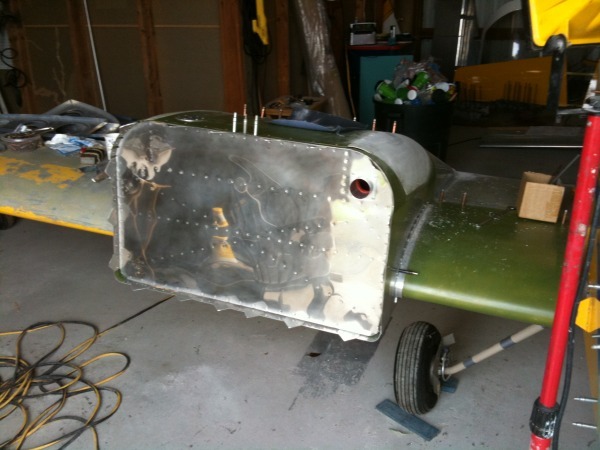 This was my FIRST introduction to homebuilt aircraft! There was an older man who owned a Soneraii II and he kept telling me that I should get involved in homebuilt aircraft since I was so young. It was 1984 and I couldn’t comprehend how somebody could fly in a tube & fabric homemade aircraft with a VW engine and wood prop! I smiled and told him politely “no thanks”. I felt right at home in that factory built Cessna. Fast forward 20 years later and I find myself flying worldwide as a Captain on a DC-8. 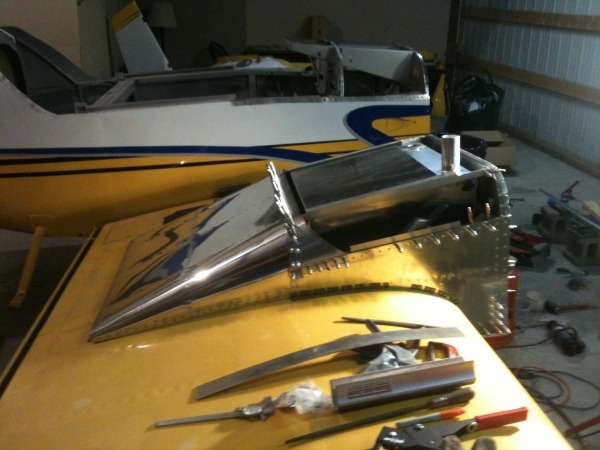 On one particular trip, my flight engineer showed me some pictures of his homebuilt aircraft. 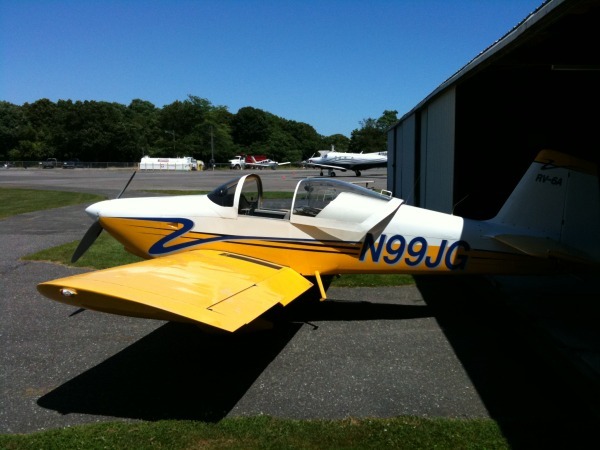 It was a beautiful Van’s RV-6A! After seeing the pictures and talking for hours with him, I was sold. The rest of that trip I spent thinking how to convince my wife that I wanted to build an airplane! When I broke the news to her, she said “no” faster than I could get the words out of my mouth. After showing her pictures of the RV she changed her tune. Originally, she had visions of a lawn chair duct taped to a hang glider with a weed wacker engine! Well, she came around and let me purchase the tail kit. Subsequent portions of the kit followed and in 5 years I had a flyable RV-6A. After flying off the 40 hour Phase I (it had a Sterba wood prop…thus the 40 hours), we traveled around the eastern US for the next 9 years in the RV-6A. 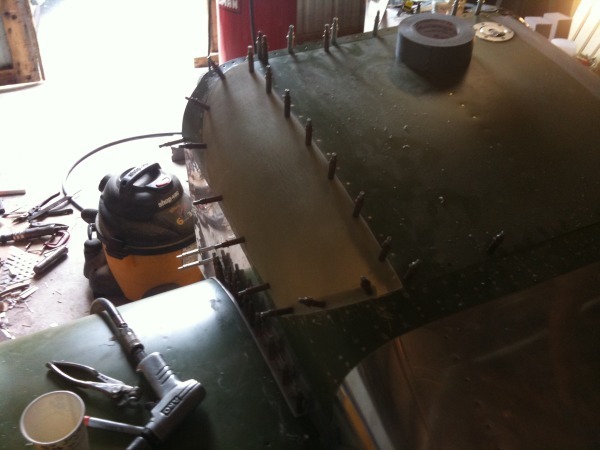 Most people would be happy with the achievement of building a kit aircraft, but not me! 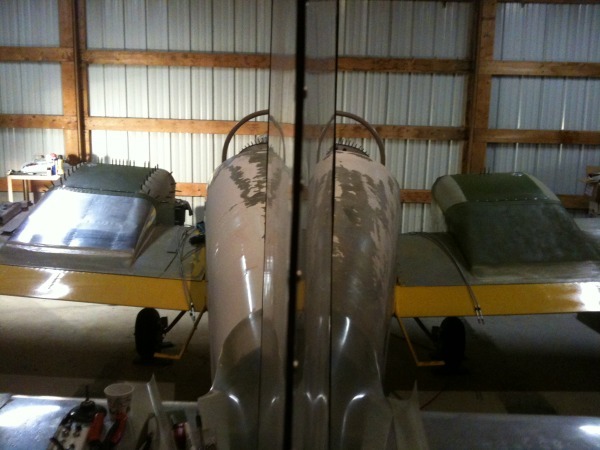 Above, the Twin jag looks like a mirror image…looking up the trailing edge of the rudder. At this time, I purchased the plans to build a Cozy MKIV. It will have twin Corvairs also. That project is currently about 1/3 complete. I put that project on hold and began the TWIN JAG project. The TWIN JAG began it’s life as a flying RV-6A. I made a decision out of respect for Van’s Aircraft to not refer to this aircraft as a “twin-engine RV-6A”. I hope that everyone will do the same. About 3 years of R&D, engineering and planning went into this project before I began dismantling the RV-6A. 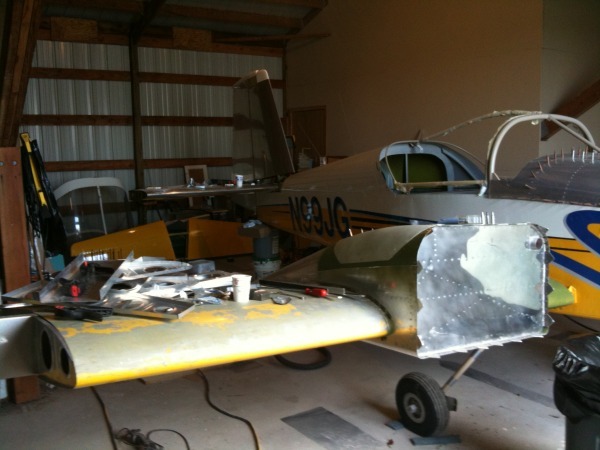 I felt the RV-6A had some shortcomings, some in the design…some in my original build. 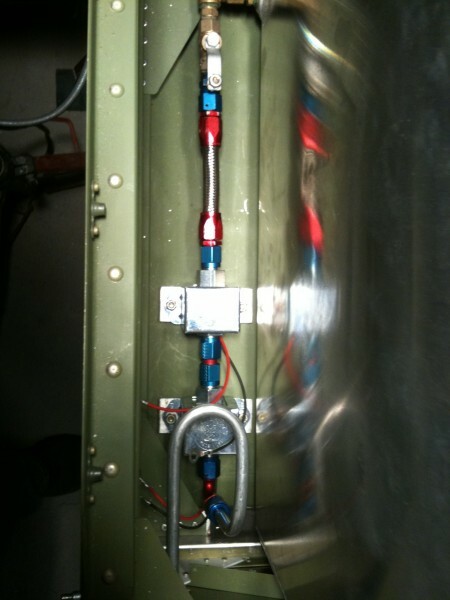 Experimental aviation gives us the freedom to “think outside the box” and I feel it is one of our last great freedoms! People quickly forget what experimental aviation was about before the “kit” days. In the 1950’s & 60’s, just about all homebuilts were either plans built or one-off original designs. Nowadays, experimental aviation is too full of “sheeple”…the type who think any paint job other than the kit factory paint scheme is a major mod! Experimental aviation has a lot to offer to a broad spectrum of pilots. Not all facets of homebuilding appeal to every pilot so choose your level and get started. exercise your freedom and use what experimental aviation has to offer YOU. Finally, what is the TWIN JAG and why Corvairs??? www.homebuiltdirectory.com. It is listed under “Original One-Off Designs.” I started this Web site as a single searchable site where you can view all types of homebuilts. It is a showcase of homebuilders craftsmanship and costs nothing to use. There are several Corvair aircraft and projects listed there and invite any others to please list your aircraft or project for others to see. Estimated Empty Weight: 1400 lbs. 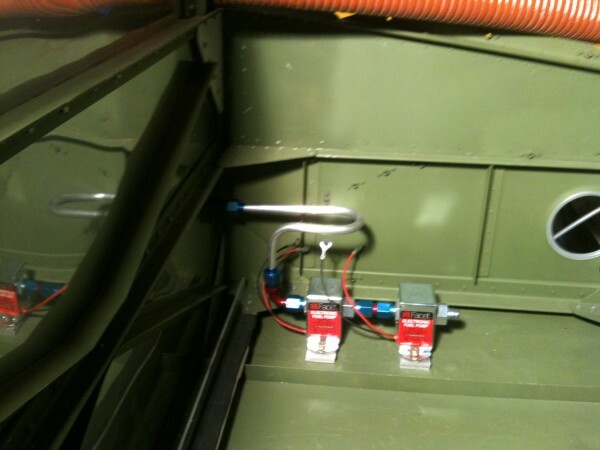 The philosophy that I based a lot of the design of this project on is “Simplicity & Redundancy = Reliability.” Remember, the glide ratio of ANY (properly flown) twin with an engine out is better than the glide ratio of ANY single with an engine out. 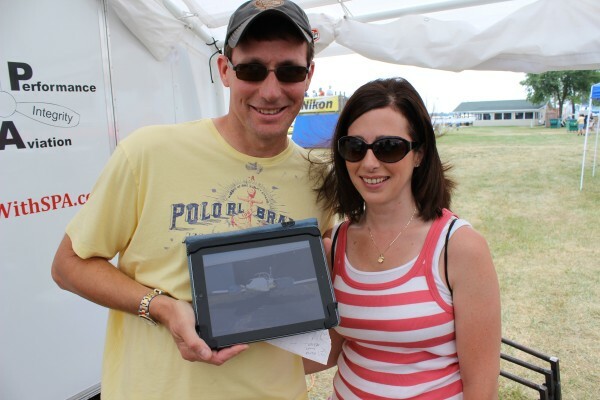 I have been going to Oshkosh for the past 11 years and I began attending William’s forums on Corvair engines about 5 years ago. Two years ago, I spoke to him and committed to building my 2 engines using his quality parts and expertise. The decision to use the Corvair came 5 years ago after the first Corvair forum. The prospect of a smooth, powerful, strong engine that I can build myself was hard to pass up. In addition, it has a low drag profile since it is relatively narrow. BUT, since I chose the Corvair, I found the best reason of all to use it…the people!!! I attended the informal BBQ last year at OSH held at their tent and I was floored by the genuine kindness and camaraderie that I found there. From William & Grace & Scoob E to Dan & Rachael to Mark P. and the countless others, thank you for your hospitality and advice! I look forward to seeing you all in July! 3 Responses to JAG-2, Corvair Powered Twin, Jim Tomaszewski, N.Y.
Now if I see this right, you have an RV-6A, with the wings likely made longer, a nacelle added on each side and 2 Corvairs (I know, very, very, very oversimplified). Like you I had been hunting for a twin as I got tired of the usual Senecas and Seminoles. Not there’s anything overly wrong with them, but I wanted something that was my own, made with my hands, flown by me. I personally wanted 4 seats and at one point toyed with the idea of ‘twin-ing’ a Robin/Jodel 4 seater. But it was too daunting a task at the time. I just didn’t know enough. But now I am going to watch your progress closely. What you have shown me is that the dream is attainable, possible, even if I were to copy someone else’s work and replicate it faithfully. Sometimes, that’s the best starting point. Thank you. Be sure to check all three pages.